Keep pets off furniture: train your pets to stay off furniture or anywhere they shouldn't be or use as a security alarm for added safety. The tattle tale uses structural vibration technology and can detect motion without ever moving. Tattle tale sets off a distinct 3-second alarm to inform you of the disturbance. Pet training : keeps pets off furniture, counter tops, beds, plant stands, garbage cans, car hoods, etc. Prevents scratching, clawing, climbing and behavioral problems in the home. Many uses travel, camping and office. 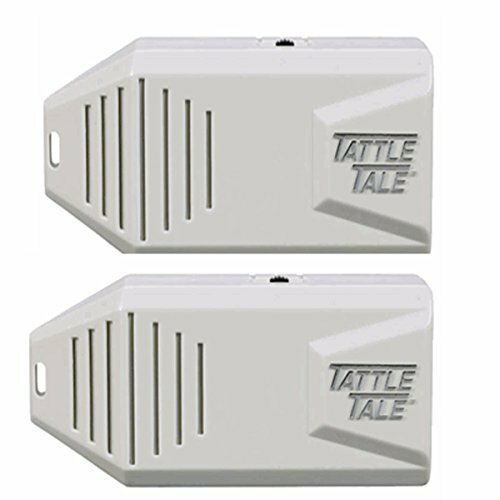 Safety and security: place or hang the tattle tale to detect tampering of doors, drawers, windows, cabinets, gates and any 'off-limits' area.